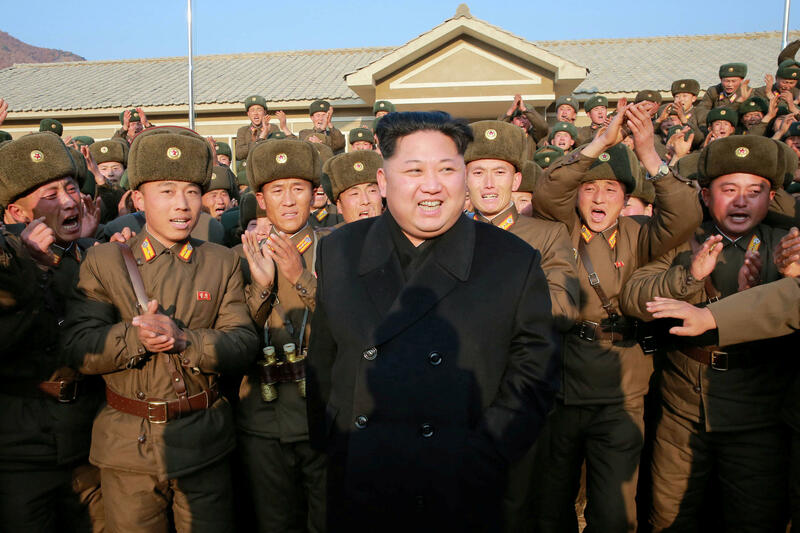 PYONGYANG, North Korea -- North Korea on Friday test-fired its second intercontinental ballistic missile, which flew longer and higher than the first according to its wary neighbors, leading analysts to conclude that a wide swath of the U.S. including Los Angeles and Chicago is now within range of Pyongyang's weapons. Japanese government spokesman Yoshihide Suga said the missile, launched late Friday night, flew for about 45 minutes - about five minutes longer than the ICBM North Korea test-fired on July 4. In response, the U.S. and South Korea conducted a test of a missile launch system, the Pentagon confirmed to CBS News. A similar test was done in response to the July 4 launch. Friday's missile was launched on a very high trajectory, which limited the distance it traveled, and landed west of Japan's island of Hokkaido. Analysts had estimated that the missile tested July 4 could have reached Alaska, and said Friday that the latest missile appeared to extend that range significantly. David Wright, a physicist and co-director of the global security program at the Union of Concerned Scientists, said in Washington that if reports of the missile's maximum altitude and flight time are correct, it would have a theoretical range of at least 10,400 kilometers (about 6,500 miles). That means it could have reached Los Angeles, Denver and Chicago, depending on variables such as the size and weight of the warhead that would be carried atop such a missile in an actual attack. Bruce Klingner, a Korean and Japanese affairs specialist at the Heritage Foundation think tank in Washington, said, "It now appears that a significant portion of the continental United States is within range" of North Korean missiles. Klingner recently met with North Korean officials to discuss denuclearization, the think tank said. Washington and its allies have watched with growing concern as Pyongyang has made significant progress toward its goal of having all of the U.S. within range of its missiles to counter what it labels as U.S. aggression. The progress it has made toward producing nuclear warheads to fit on those missiles is less clear. President Trump has said he will not allow North Korea to obtain an ICBM that can deliver a nuclear warhead. Japanese Prime Minister Shinzo Abe called the launch a "serious and real threat" to the country's security. Suga, the Japanese spokesman, said Japan has lodged a strong protest with North Korea. A spokesman for Gen. Joseph Dunford, chairman of the Joint Chiefs of Staff, said Friday that Dunford met at the Pentagon with the commander of U.S. forces in the Pacific, Adm. Harry Harris, to discuss U.S. military options in light of North Korea's missile test. The spokesman, Navy Capt. Greg Hicks, said Dunford and Harris placed a phone call to Dunford's South Korean counterpart, Gen. Lee Sun Jin. Dunford and Harris "expressed the ironclad commitment to the U.S.-Republic of Korea alliance," Hicks said, referring to the U.S. defense treaty that obliges the U.S. to defend South Korea. Prime Minister Abe said Japan would cooperate closely with the U.S., South Korea and other nations to step up pressure on North Korea to halt its missile programs. Repeated rounds of sanctions from the U.N. Security Council, however, have yet to deter the North. U.S. Ambassador to the U.N. Nikki Haley said this week that China was cooperating on a new U.N. resolution that would impose additional sanctions against North Korea, CBS News foreign affairs analyst Pamela Falk reports. "We are constantly in touch with China, and I can say that things are moving, but it is still too early to tell how far they'll move," Haley said.